If you’re looking for fun loose tea infusers, we’ve rounded up our favorites. Get a head start on your gift-giving and get one for the tea lover in your life! Tea lovers aren’t affected by the time of year, but for the rest of us, tea season is about to start! Here in Seattle, I move from coffee to tea when the rainy season starts. 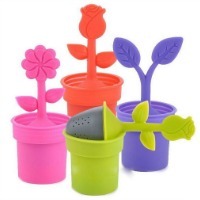 Recently, I was If you do, too, check out some of the most fun loose tea infusers I’ve come across! 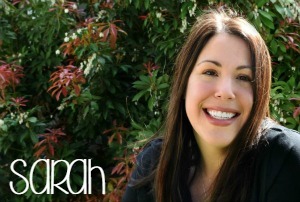 Recently, I was shopping for a new infuser and knew I had to share some of my favorites. This was the most fun I’ve had shopping on Amazon in quite a while. 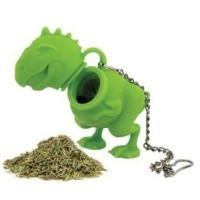 If you’re looking for animal tea infusers, here are a few that will have your tea lover cracking a smile. I’m certainly grinning from ear-to-ear! I cannot believe this. 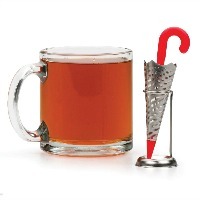 This tea infuser built into this cup is TOO cute and any cat lover is going to love it! 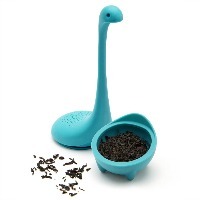 This “Nessie” tea infuser had me cracking up! The tea lover in your life could use a bit of wonder in the morning. 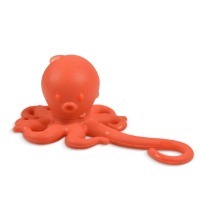 The octopus infuser hangs down the side of the teacup (fun! 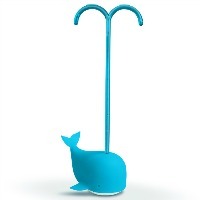 ), while the whale tea infuser has a nice handle, making it oh-so-easy to use. Sloths are just the most amazing creatures and this slow brew (get it?) 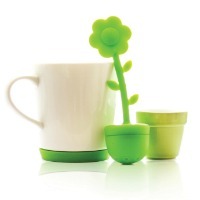 infuser is adorable! 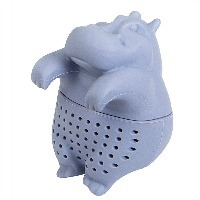 Dinosaur lovers will be greeted with a smile each morning with the t-rex tea infuser and I can’t get over the relaxing vibes given off by this hippopotamus tea infuser. 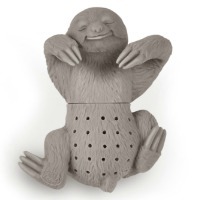 Not to be outdone by some adorable animal friends, these loose tea lovers will enjoy these tea infusers. 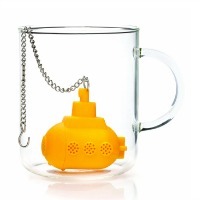 I have been singing the Beatles’ “Yellow Submarine” for days after coming across this submarine tea infuser. The deep-sea diver brings on a chuckle and is detailed well – check out the dive tank! 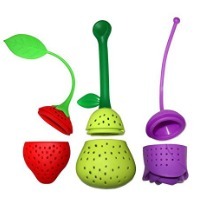 The umbrella tea infuser is fitting for Seattle and I might have bought one or two (okay, three) as gifts for my daughter’s play date moms. 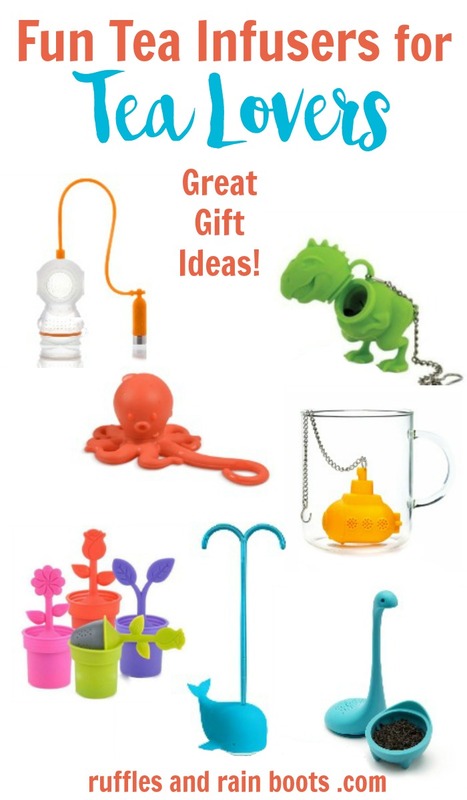 I decided on the “Nessie” tea infuser and the Flower Pot set for my collection this year. Which is your favorite? P.S. If you want to give some loose tea, check out these popular choices of sampler sets (I love giving the Forte and Golden Moon collections because they are reasonably priced and delicious. Okay these are seriously so cool! We just have a traditional one, but I love the animal shapes! Me too, Tiffany. I totally went a bit ‘woo woo’ on buying them! :) I gave one to a neighbor and we laughed for at least 20 minutes – gotta love that. I love this! Even the snail ones that will hold onto the teabag. Great Ideas … may have to check a whole lot of these out – Can I just keep coming back to R&R and find them again since I don’t “do” Pinterest? I drink a lot of tea but not much loose tea. 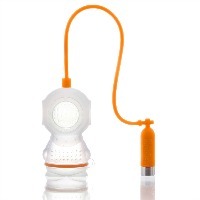 I have never thought of getting an infuser however, I just might have to look into this and I love your suggestions.